Attorney Chris Davis of Davis Law Group has filed a lawsuit in Pierce County Superior Court (No. 18-2-04368-4) on behalf of UPS driver Kevin Backlund against the dog owners and the multiple businesses that operate on the property where the pit bull attack took place on September 13, 2017. The lawsuit specifically names defendants Darryl Allen Burgess, Jason Eric Owens, Jesse Ray Owens, Catherine J. Owens (aka Catherine Shipman), JRO Premier Enterprises, LLC (doing business as Premier Paint & Faux Finish, Premier Asphalt & Seal Coating, and One Stop Property Solutions), RCO Enterprises, Inc., Grounded Logistics, Inc., DA Burgess, FE Services, Inc., along with several other individuals. The complaint for damages alleges that the defendants had prior knowledge that their pit bull dogs had previously bitten or acted aggressively toward other human beings. The defendants knowingly created and maintained an unsafe and dangerous condition on the property by harboring several extremely vicious and dangerous pit bull dogs. 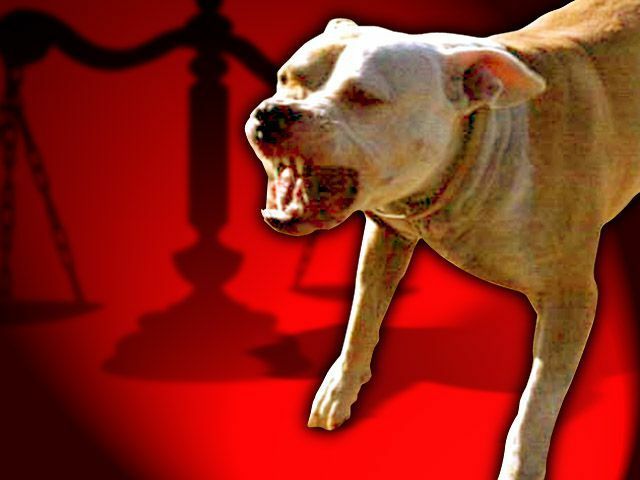 The lawsuit also states that the defendants failed to properly warn people who entered the property about the presence of dangerous pit bull dogs. As the owners, keepers and/or harborers of the dogs, the defendants are strictly liable for the injuries and damages caused to Plaintiff as mandated by the dog liability statute at RCW 16.08 et seq. Read the complaint for damages. The Pierce County hearing examiner that heard the dangerous dog appeal of the four pitbulls that attacked UPS driver Kevin Backlund released his decision on December 29, 2017. The dangerous dog declaration will remain in place. In order to regain possession of the dogs the owners will have to comply with Pierce County dangerous animal ownership requirements. If they do not comply within 20 days of the decision the animals will be seized and destroyed within 5 days. Read the hearing examiner's decision. The following are highlights from the six-page document outlining the hearing examiner’s findings. Mr. Backlund was a credible witness and this Examiner found no reason to question his testimony. There was no warning regarding dogs in Mr. Backlund's UPS DIAD device. Mr. Backlund was not a trespasser. On the day of the attack, Mr. Backlund approached the property and did not see the heavily obscured and unreasonably small beware of dog sign. There is no evidence that the dogs were provoked in any way prior to attacking. The attack resulted in severe bodily injury to Mr. Backlund. The dangerous dog declarations for "Laurenitis, LJ, Zero, and Lexi" issued by animal control were upheld and the appeal of animal owners Darryl Burgess and Jason Owens was hereby denied. Mr. Owens must obtain Dangerous Animal Permits from the Pierce County Auditor’s Office and comply with all ownership requirements of a Dangerous Animals set forth in Pierce County Code. Proper enclosure defined in PCC 6.02.010. "Proper Enclosure....the animals shall be confined indoors or in a securely enclosed and locked pen or structure...designed to prevent the animal from escaping...structure shall have a locking door with a padlock, secure sides, a concrete floor, and a secure top attached to the sides..."
Posted warning signs. Property and animal enclosure must have posted warning signs. Microchipped. Animal(s) have been microchipped and microchip number is provided. Photo Identification. For identification purposes, 2 current, color, digital photographs of each animal. Spayed/Neutered. Animal(s) have been spayed or neutered. Muzzles. Muzzles for all animals. Collars. Brightly colored collars with current license tags. Or go beyond the premises unless the animal is securely leased, muzzled and restrained. The dog owners will find that it is expensive to comply with the Pierce County dangerous animal ownership requirements. We did a little bit of online research to come up with a rough, conservative estimate of what it may cost to meet the standard set forth by the county. Dangerous animal permit. $500 per animal. Note: annual renewal fee for permit is $500 per animal. Proper animal enclosure. Estimated dog kennel (6x10 for each dog) fencing $5,000. Concrete slab $500. Posted warning signs. Estimated cost of $25. Microchipped. Estimated microchipping $25 per animal. Rabies Vaccination. Estimated rabies vaccination $10 per animal. Spayed/Neutered. Estimated cost of spay/neuter surgery $115 per animal. Liability Insurance. Estimated cost of Canine Liability Insurance Policy $500,000 liability insurance policy approximately $866-1200 per year. Muzzles. Estimated cost of muzzle $20 per dog. Collars. Estimated cost of $12 per collar.